Been quite a lot of Hockey on lately, especially on the International level. Some easily accessible, some not so much. Other games not at all. And with all this Hockey there has been much to discuss. Perhaps too much. It is easy for some things to slip by the wayside, not because they aren’t important or worthy of further examination but for sheer volume of talking points there are. This is the editorial that was meant to appear last week, before our Saturday afternoon rant at the use of social media by Hockey authorities. And it could all so easily slipped my mind as more immediate issues appeared. But I was reminded during our feature interview with former international umpire Keely Dunn last week that there is a part of the game that is relatively new, isn’t going to disappear anytime soon and at this stage needs a bit of attention. And that is the role of the video replay. 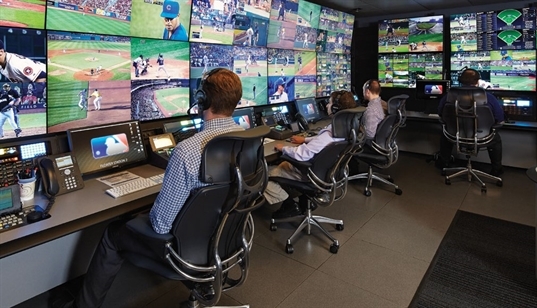 The use of video technology to augment on-field umpires is with us to stay. At least at the top level’s of the game. And no one really expects it to dribble down the grades as the costs and labour requirements would be beyond most if not all grade level clubs. That said, when I was a kid, a telephone in a shoe was a joke in an American TV show, so who knows. And we believe the idea of using modern technology by officials is a must, especially considering broadcasters will have no hesitations in showing repeated replays of an incident that may be crucial to the outcome of a game. Apart from potentially undermining the confidence of viewers in the umpiring fraternity it doesn’t do umpires much good either. Hockey is an analogue game, played by analogue people and adjudicated by analogue people. As amazing a machine that the human body is we have still not developed the power to freeze time or reverse time, nor to scroll backwards and forwards across a single frame moment of our lives. We can’t even shuffle forward quickly to a predetermined point drawn on the ground by a giant marker. When using any video referral system that should be a basic premise that we understand before we move forward. The issue we face as a game is how we implement this technology. Despite our frequent pot shots over broadcasting, we feel that on this occasion the FIH is being proactive and flexible in its approach to what is a major recent addition to the game. And we are sure they will continue to modify and refine the rules and directives that govern the use of technology. But this is The Reverse Stick so we have a couple of suggestions to guide the FIH in the process of refining the way we use replays and why we use them. Our example comes from game a played during the recent Men’s Asia Cup in Dhaka. Malaysia and Korea were playing for a place in the Asia Cup Final, a spot eventually taken by Malaysia. Due to the round –robin style of the finals Korea needed victory to qualify for the decider, Malaysia just a draw (that in itself is another editorial). Korea were pressing and played a ball into the circle that along its path was raised by a Malaysian stick. The ball flew past a trio of players and across the back line. The umpire signalled a ‘16’. Korean players immediately protested the decision, claiming the raised ball off a Malaysian stick should be awarded as a penalty corner. At this point we should point out that we are not concerned with the original decision from the umpire being wrong. It happens sometimes. We are concerned with the processes that occur once technology has come into play. Sanity prevailed temporally. Video replay did in fact show there had been a mistake by the umpire. The Malaysian player had been the last person to touch the ball and the decision was corrected in favour of the Koreans, who were awarded a free hit from the 25. Is that a 23 now? I don’t know. It used to be a long corner. This is the bit were all the best intentions and reasoned logical thinking fall apart. Many good people have spent considerable time coming up with the guidelines for the video referral. But we can’t help feeling those very same good people may very well have had there own Homer Simpson moment as they watched those final minutes. “Doh”. But we should expect that to happen occasionally. The person that invented the wheel had a few fall over before they got one to roll straight. Despite the fact Koreans were correct in the belief that a mistake had been made and the free hit reversed, they lost their referral. Why? They had asked the wrong question. They were seeking a short corner. They had identified that the original decision was wrong, but were punished, in the form of a lost referral, because they sought a different penalty than what the video technology was able to prove. Something is wrong there. On the day the umpires and video officials were absolutely correct when going about their determination in this referral. This wheel obviously needs a bit of tweaking before it rolls straight. One issue is language. It is ludicrous to suggest all players be required to speak a globally endorsed language. So this has always been an issue. Not a constant or consistent issue, but it raises its head occasionally. Generally because when an umpire blows a whistle and points players get on with it, and understand they will enjoy a nice piece of green, yellow or red pie if they don’t. Under the video referral system players must engage the umpire, even if neither the player nor the umpire understand a single word of what the other party is saying. Add to that heat of the moment and fatigue and desperate last seconds of a do or die game. Good luck with a split second decision based upon one perspective that fully complies to a set of criteria available to a person sitting on their arse watching repeated replays on a TV screen*. And wouldn’t you know it, the player left their copy in their training bag. The point being here that the guidelines must be simple to understand and communicate. And they cannot be restrictive to the point that teams are proved to be instinctively right, but are punished for getting the sentence wrong, not the offence. A former Australian player once referred a decision during an international game and was asked by the umpire what exactly he was referring. His reply, “Take your pick, there is three of them there”. There is clearly some space between what the players expect from a video referral system, what the umpires can do and what the rule makers think. This is not an issue that will bring ruin upon the game. However our sports use of such technology still requires some work from players, umpires and administrators to implement a system that works for all involved. * The Reverse Stick in no way implies that umpires are lazy. We do however fully endorse sitting on your arse and watching great Hockey on your TV.